A uniformed RCMP officer was rushed to hospital on Saturday after being struck by a motorcycle fleeing a traffic stop on the Trans-Canada Highway. 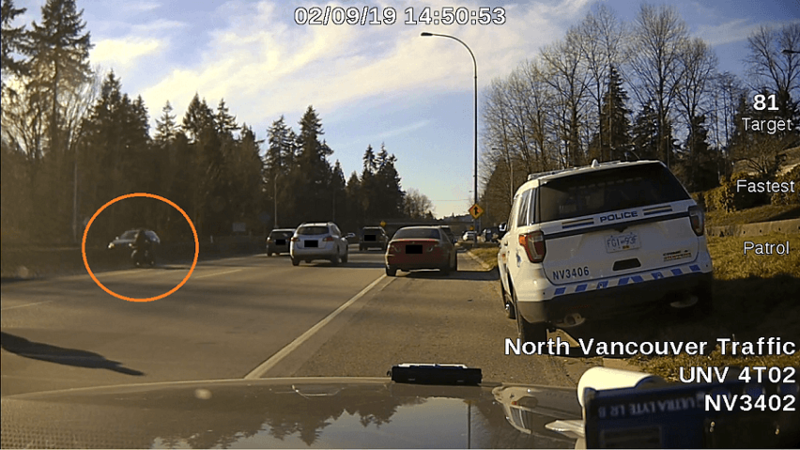 Officers were conducting traffic enforcement on Highway 1 just west of Westview in North Vancouver in the afternoon when a black motorcycle was flagged down by police. The bike initially stopped, but then the driver accelerated, striking the officer and knocking him over, says Sgt. Doug Trousdell of the North Vancouver RCMP. The biker fled westbound on the highway. North Vancouver RCMP are now looking for anyone who may have witnessed the hit-and-run, or captured the incident on dash-camera video.